This lovely Spring weather we’re having (today, at least) reminds me that Easter is on it’s way. And you know what that means…? CHOCOALTE. Lot’s and lot’s of chocolate. 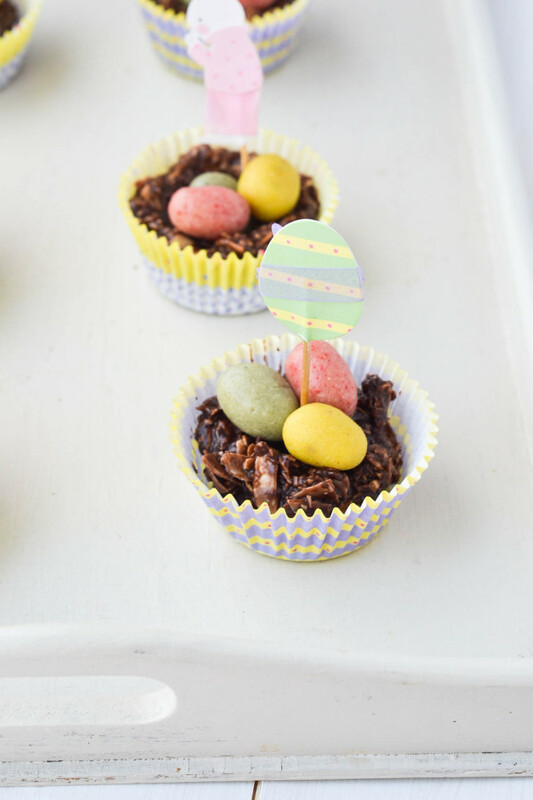 For this reason, I was eager to begin celebrations early and have turned to an old favourite: Chocolate Easter Egg Nests! These ones, however, are a slightly healthier twist on the classic and are raw, vegan and gluten-free. The other difference is the mini eggs are made from raw marzipan instead of chocolate. My attempt at making the chocolate ones was a bit of a failure, I’m afraid. You can see the pictures here. Yeah, total fail! But I love these marzipan ones which taste delicious and were a LOT easier to make too! 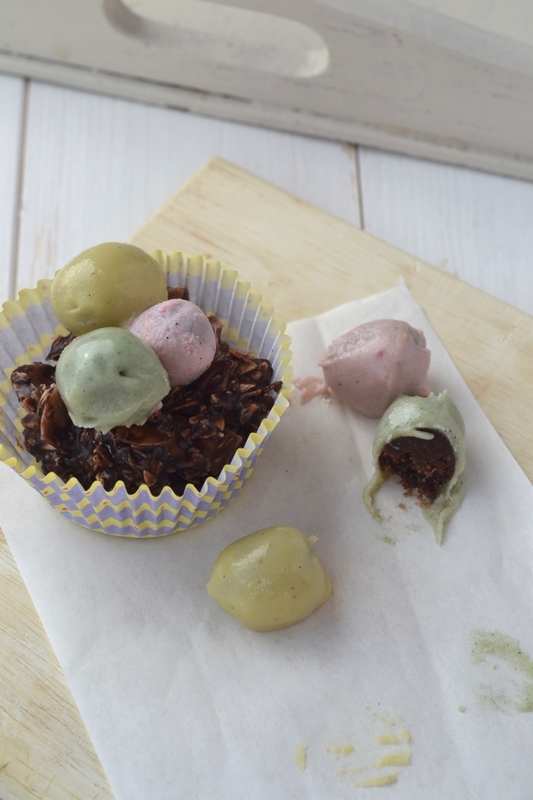 These chocolate nests make a great sweet treat all by themselves. They taste just like American Almond Joy bars or Bounty bars with a hint of almond. Delicious! Raw, Vegan and Gluten-free. Melt the the coconut oil on a low heat and mix with the honey and cocoa powder to form a chocolate sauce. In a large bowl, combine the dessicated coconut, coconut flakes and almond flakes. Pour over the chocolate sauce and stir until everything is completely coated. Place the bowl in the fridge for about 5 minutes to let the chocolate cool and the mixture to thicken slightly. All ingredients are raw and unsweetened. You do not need to be too precise with these measurements, a handful each of the dessicated coconut, coconut flakes and flaked almonds will suffice! Previous Post: « Fushi Review + Giveaway! O jeez, Aimee, why am I reading this @ 1am?! I’ve got to share this vegan egg nests! These are perfect for Easter!!!!!! <3<3 You are so amazing at vegan desserts, I love that! And I <3 marzipan, they look so gooooooooooooood! Thank you so much, Rika! I'm gonna be making them again when Easter comes round, hope you get to try them too :-) Also, I do that thing... reading food blogs at 1am. Never a good idea haha! How lovely! These are so fun and creative. I've never made my own marzipan, but yours turned out wonderfully. I've been seeing Easter egg macaroon nests on Pinterest and have been thinking I'll definitely have to try it myself. It's great to see that they can be made vegan as well. What an adorable Easter treat! Love that it's healthy too. Chocolate and coconut complement each other so well. The eggs look professionally done. You did a great job! These are the most adorable thing ever oh my!! 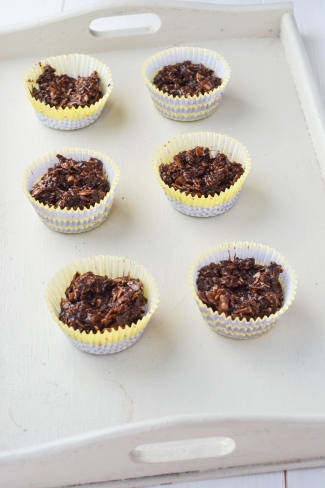 And I love how they're healthier than most - definitely a must try! 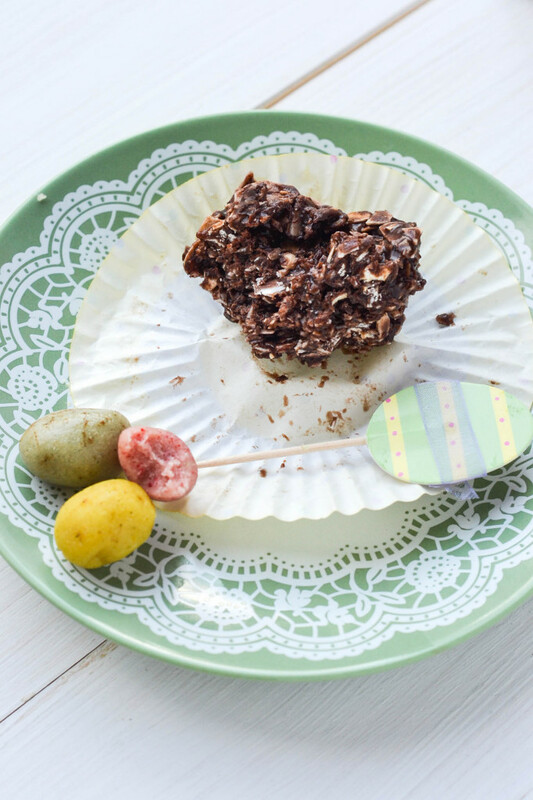 Thanks :-) I think you would love the chocolate nests, Consuelo - they remind me of bounty bars. So good! 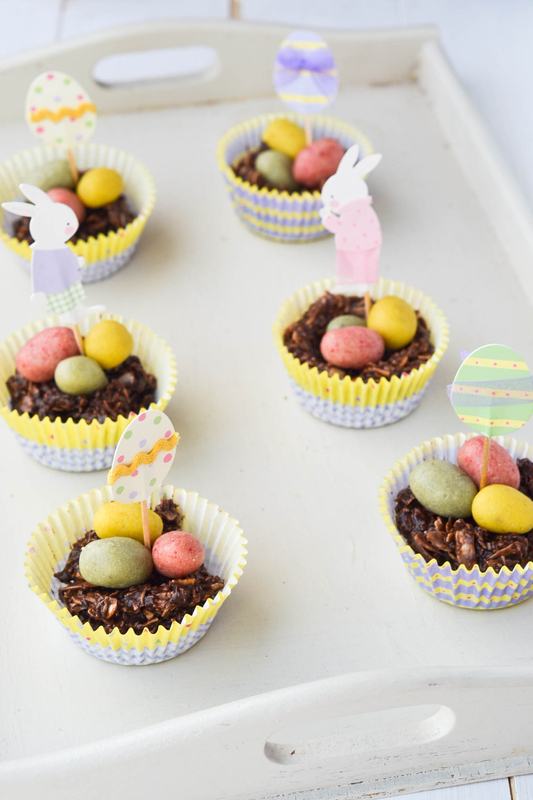 Well, Aimee, this is officially the first easter recipe I've seen on a blog ... congratulations!! These are genius. 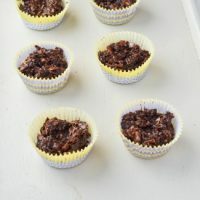 I always loved the naughty chocolate ones, so it's a great idea to make a healthier version. I bet they taste beautiful with all that coconut goodness in! These are adorable - and so perfect for Easter! It motivates me to start thinking about Easter recipes! Look forward to seeing what you make for Easter, Kristi! These are adorable and so healthy - love the marzipan eggs, love your natural food coloring choices! Thanks Shashi :-) I was pretty shocked how well the food colouring turned out... I love the pastel colours they created! These are great. I love the combination of ingredients. Delicious.... AND healthy! Chocolate, coconut and nuts all in one place. Doesn't get better than that! Thanks Kate :-) The taste really reminds me of bounty bars... very moreish! These are adorable! I love that you went to the extra effort of making marizpan eggs - they turned out great. I would have naturally taken a shortcut with those chocolate Cadbury eggs. :) Lovely paper liners too. Thanks Monica :-) I was so tempted to use the cadbury eggs after my chocolate mini eggs failure but I'm glad I went with the marzipan, they make a nice change!